Dr. Markowitz evaluates your overall health, your risk factors and the personal goals you have for your smile. Then, he outlines exactly what he’s going to do ahead of time and uses only the most advanced tools and techniques available in dentistry to achieve wonderful results! There’s no guessing at Great Boca Smiles—Dr. Markowitz has a vision for what your smile will look like and implements the most advanced technologies to get your smile to where it needs to be on schedule! 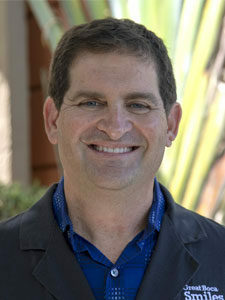 Dr. Markowitz attended Dental School at The Medical University of South Carolina. He completed his post dental training and surgical residency at SUNY Downstate Medical Center and Kings County Hospital Center in Brooklyn, NY. He received his implant surgical training at the University of Miami’s Implant Dentistry Program. He has continued his dental education at the prestigious Rosenthal Institute and Aesthetic Advantage, Inc.
Dr. John Aylmer is a Florida native and enjoys surfing, fishing, and diving in his free time. 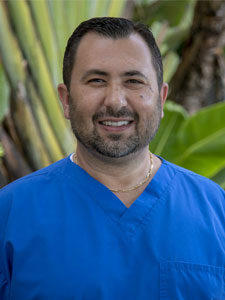 He obtained his undergraduate degree from University of Central Florida and graduated with numerous awards from Nova Southeastern University College of Dental Medicine. His dedication the dental profession is made apparent through hundreds of hours of continuing education in all aspects of general dentistry. Furthermore, he currently serves his colleagues as Secretary of the South Broward Dental Association. Overall, Dr. Aylmer is passionate about dentistry and is here to serve you with the highest quality of dentistry. Maria has had the pleasure of working with Dr. Alan Markowitz since September 2017 as his Clinical Coordinator. Beginning in January 2019 Maria has now taken the position of the practice manager. Maria has over 15 years of dental experience. She is thankful to have the privilege of working with some of the best doctors and staff during her extensive dental career. Maria understands the value of teamwork in building a great dental practice and is excited to help our patients achieve their optimum oral health and a smile they can be proud of. 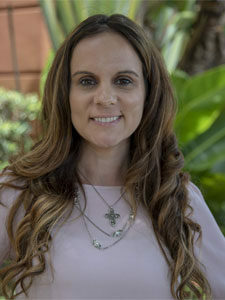 Maria takes pride in helping our patients with any questions or concerns they may have regarding their treatment plan, insurance or financial needs. 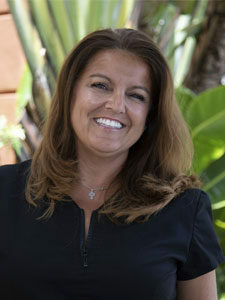 Maria currently resides in Hollywood and enjoys spending time with her beautiful family and her Lhasa Apso Paco. She loves traveling the world, dining, cooking and relaxing on the beach. Maria is looking forward to meeting you and assisting you with all aspects of your dental visit. Remember- you are never fully dressed without a Great Boca Smile. Nick came to Great Boca Smiles in 2016 bringing with him many years of experience and expertise as a cosmetic ceramicist. Nick is a CEREC trained specialist and works closely with Dr.’s Markowitz and Aylmer designing crowns and on onlays for perfect )t and color. Nick says “I love my job and take great pride in the quality of my work and to make sure it is meticulously completed”. We are lucky to have such a skilled technician as part of our team. Nick loves watersports, photography, and travel. 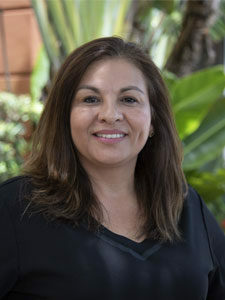 Zoila enjoys the happy, friendly smiles from the staff and all her patients. Zoila graduated from Lindsey Hopkins Technical Institute and brings over 20 years of experience. One of the main reasons she loves her job is being able to see the smile on her patients face after their dental needs have been met. Zoila loves her patients and their well being is her only priority. Zoila has been living in Coral Springs, Florida for over 10 years. In her free time, she loves to cook, read and spend quality time with her husband and two daughters. 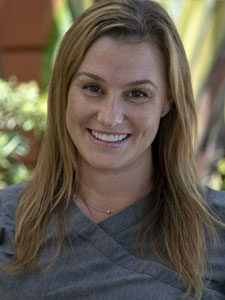 Elizabeth Hyatt comes to Great Boca Smiles with over 16 years of experience in the dental field working as an Assistant and Office Manager for an Endodontist. She is now working at Great Boca Smiles as our Insurance Coordinator with many additional responsibilities with our Front Office Staff. Due to her vast experience, she has been able to contribute greatly to the operation of our office. Elizabeth has proven to be a valuable asset to Great Boca Smiles. Leigh Anne D’Avanzo was born in Washington DC. and was raised in Maryland where I married my husband, Dennis in 1989. In 1995 we took a chance and moved to Florida for the beach and the weather. My husband and I raised three wonderful children together who have been a joy to our lives! Dr. Alan Markowitz and I met in 1996, and we have worked together since. My passion for the dental field has been a long and rewarding one. I strive to make a difference in patients oral health by securing their trust and treating them with the highest quality of care. I aim to educate my patients so they can each achieve a healthy mouth, a bright white smile and feel confident in their overall health. Looking forward to meeting you at Great Boca Smiles. Erin grew up in the beautiful Endless Mountains of Northeastern Pennsylvania. Although she has a great love for the quiet country lifestyle, she decided to take a break from the long cold winters and relocated to sunny South Florida in 2005. Erin joined the Great Boca Smiles team in 2017. She has a combined 10 years experience in Orthodontics and General Dentistry. She enjoys the smiling patients and loves the fun atmosphere with the Great Boca Smiles family! Erin currently resides in Boca Raton with her amazing husband, beautiful daughter, and one of a kind french bulldog Noah! She loves spending quality time with her lovely family. She also loves the church, traveling, cooking, crafts, gardening, and relaxing on the beach! We are happy to welcome Holly to Great Boca Smiles! 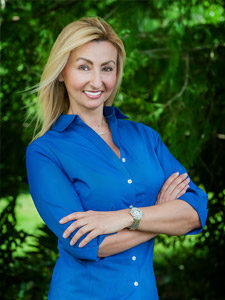 Holly graduated from Palm Beach State College as a Certified Dental Assistant, and then transferred to Broward State College where she earned her Dental Hygiene degree. Holly has been enjoying the dental field for over 18 years now. She is quick to make patients feel at ease by building confidence, trust, and friendship with each patient. Her easy going and understanding nature make it easy for patients to feel comfortable. She is extremely devoted to educating patients on their individual needs. When not at work, Holly enjoys spending time with her husband and two children, friends, and family.